Located in Southwest Austin near Circle C Ranch, The Lady Bird Johnson Wildflower Center is offering a free guided tour on January 22, from 11 a.m. to 2 p.m. The tour will be led by local arborists, staff members, volunteers and tree experts to help educate visitors on growing local plants and trees. To see the schedule, click here. This will be a great start in preparing you for your spring planting! They are also offering a tree and shrub plant sale starting at 9 a.m. and going on untill 5 p.m.
Southern Exposure is a collection of art work by Bill Nowlin. The exhibit will be of his photos taken on cruises to Antarctica which capture the wildlife and landscape of this beautiful ice filled land. He will also have in exhibit photos of other areas such as Africa and South America. Click here for more details of this event. Take Mopac (Loop 1) south past Slaughter Lane. Take the first left on to La Crosse Ave at the traffic light. Go toward the end of La Crosse and you will see the entrance to The Lady Bird Johnson Wildflower Center on your right, 4801 La Crosse Ave. Admission for the month of January is free! 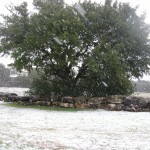 Austin is known for it’s hot summers and cool winter weather. Last year we did get to see a glimpse of some of that cold white stuff, will we get the pleasure again this winter? Typical Texas weather; cold one day, hot the next then a freeze…I like surprises so I guess that’s one reason I love living in Central Texas. I looked up a few snow facts and here is what I found: It has snowed 50 times since 1898 with most of the snow falling in the month of January, February coming in second. Last winter my daughter went to bed with high hopes because there was a report that it might snow, here in Texas that means no school! 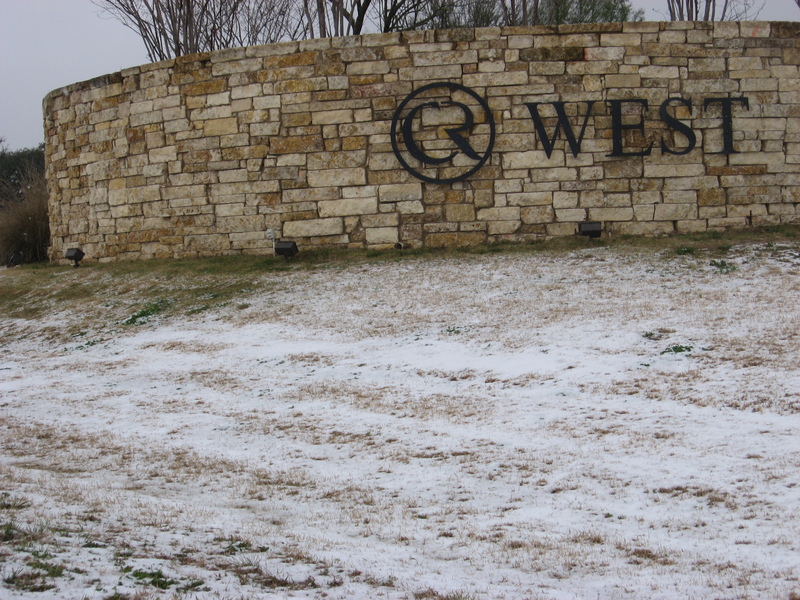 We woke up to snow the next day and of course a much appreciated snow day! It was a fun day filled with outdoor activities, tongue tasting the cold wet flakes, building a snow man while the sun was attempting to come out, hurry, hurry, take that picture before it melts and the traditional (snow or ice day) sledding down the hill. Cars lining up and down Escarpment Blvd. with kids trying to get the best and highest point to slide on. What a great time these kids have! Well, I don’t anticipate a white Christmas but, will we once again have a few flakes to enjoy? I hope so! A new development in southwest Austin! The original developer of Avana started breaking ground a few years ago and stopped, the 1,000 acre project was zoned to have an 18-hole golf course, hotel and approximately 1,100 residential lots. With the economic crunch these plans have changed and new owners/developers will be purchasing sections of the development. Standard Pacific began construction about a month ago and will build on a 100 acre portion of the development which will be part of the Circle C homeowners association. Standard Pacific is estimating that the homes should be ready for sale this coming spring and homes will range between mid $200,000 to the lower end of $300,000. Other sections of Avana are being sold to different developers/builders and some sections will have to be rezoned from golf course use and hotel use to residential. The Avana property is in Travis County but does have a section that lies in Hays County. As portions of the Hays County property get purchased the issue of schools will be addressed. Avana is on the east side of the 45 Toll road in southwest Austin which is the extension of Loop 1 south, the entrance to Avana will be directly across 45 from Escarpment Blvd. This area of Austin is highly desirable because of its close proximity to downtown and has seen a steady growth with retail markets. 9005 Gallant Fox is located in southwest Austin sitting high up on a hill and has downtown views! 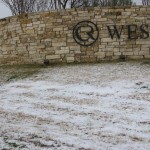 A single story white stone with 3540 square feet on 2 acres of land with a 3 car garage. Enter the home through custom iron Durango doors with ceilings 14′ tall, the Brazilian cherry hardwood floors in main areas of the home give this home a warm and inviting quality. The formal dining area also has 14″ ceilings giving it a grand look while the casual dining has a view of downtown. The family room is in the center of the home with a beautiful fireplace, the game room is a great place to watch movies or set up a child’s play room, the office does have a closet and enough room to be turned into a 4th bedroom. The 2 secondary bedrooms are roomy with walk-in closets and has a full bath between them. The master bathroom is large with separate sink areas and a large tiled walk in shower. The kitchen has granite counters, cherry cabinets, stainless appliances, double convection ovens, warming drawer and a center island with a mesquite counter and vegetable sink. The main areas of the home and the patio has a wired speaker system The covered patio has tiled flooring and a built in barbecue pit. 10101 Silver Mountain Drive is located in Lewis Mountain Ranch in southwest Austin on 3.50 acres. 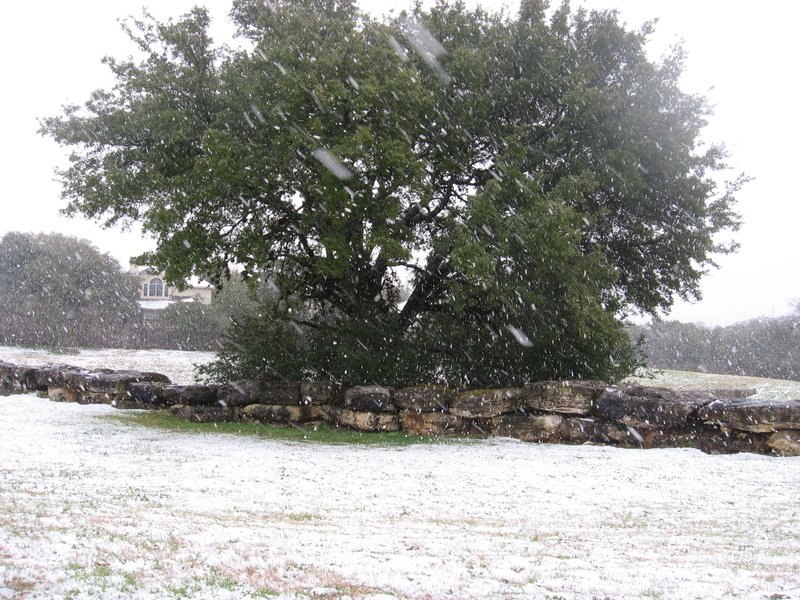 This home is a single story white stone with large oaks, some with sweeping branches gracing the front yard. The main home has a wonderful floor plan including large secondary bedrooms, an office, formal and casual dining, family and game room and a wonderful kitchen which has stainless steel appliances and scored and stained concrete floors. The outdoor area has lush landscape with a resort style swimming pool. The patio has travertine tiles, a covered patio for the main house and the guest house. The pool is covered with mosaic tiles, has a beach entry and wonderful waterfall from the guest house overhang. The guest home has travertine throughout with a full kitchen with granite counter tops and a full bath with a steam shower. The back property has a path that leads to a great wet weather creek which is surrounded by more large oaks which are calling for a hammock! This property continues with another 1.5 acres beyond the creek. Lewis Mountain Ranch homes sit on acreage with some sitting high with far views of the hill country while some have a wet weather creek running through their property or a greenbelt with private backyards. A section of Lewis Mountain Ranch is gated with home values over a million dollars. There is a community area equipped with picnic benches and a grill for families to come out and play!